Once you’ve clicked on a link, you’ll be taken to our online booking portal. 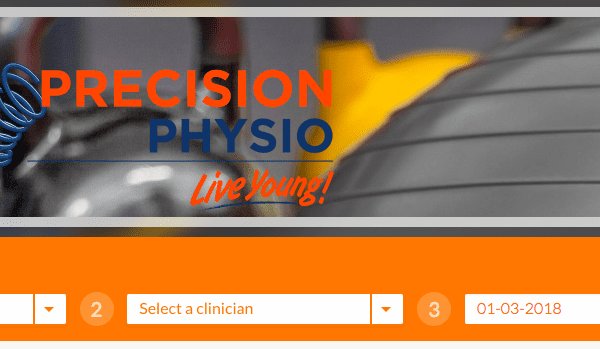 Scroll down the page and you’ll be able to choose between our different clinics and then view a listing of all staff at that location along with their brief bios. TIP: We have two listings at St Marys – the first is our Physio team and the second or Exercise Physiology team. Click on the staff members name that you’re looking to book with and go through to their personal booking page. NOTE: On each of our teams booking pages you’ll see a calendar that has available days and times for you to scroll through. The default here is to show longer INITIAL CONSULTATION time slot appointments – for your ongoing sessions you’ll want to change the search to FOLLOW UP appointments and by making this change you’ll get more appointment options as standard appointment are a little shorter than initials.